This auto accident involved a collision where the defendant t-boned the plaintiff’s automobile while making a left turn into oncoming traffic, causing the Plaintiff’s automobile to rollover and come down on the driver’s side rendering the Plaintiff paraplegic. On February 6, 2008 the Plaintiff, Egline Henry, was driving home with her 3 year old daughter and friend Lifaite Augustin when Defendant, Jena Hoelke, made a left turn into oncoming traffic striking Henry’s Kia. The force of the collision caused Henry’s Kia to spin in different directions, and rollover. The Kia finally came down on the driver’s side. Hoekle did not attempt to brake before the collision. Hoekle also acknowledged that she did not see Henry’s Kia until the collision. Hoekle blamed co-defendant Stephen McCulloch for obstructing her view with his 1995 Suburban SUV by pulling out of his lane to make a left turn when he saw Hoekle’s car approaching him. McCulloch did not witness the accident. What he was able to describe was the movements of the Kia after the collision. He described the Kia to fishtail and start to roll over. He saw the passenger to be half in and out with his head, shoulder and arm to be out of the Kia window. He could not see if Henry was wearing her seatbelt. Before the Kia came to a stop McCulloch saw Henry come partially out of the window and the Kia come down on her on the driver’s side while she was not completely ejected. The vehicle’s passenger, Mr. Augustin, testified that he saw Henry put the Kia’s seatbelt on both herself and her young child and that Henry was still wearing the seatbelt after the crash while leaning towards the driver’s still constrained by the seatbelt. Henry corroborated Augustin’s testimony, and testified that she could not remember if she had taken her seatbelt off after the accident or if someone else had removed it for her. As a result of the accident, Henry suffered a dislocation of her 11tht and 12 vertebrae resulting in a pinching of her spinal cord rendering her paraplegic which her treating neurosurgeon testified that she would be most likely paralyzed for life. Defendant present the testimony of two experts, Dr. Freeman and Dr. Burton. Dr. Freeman, an engineering expert recreated the accident stating that the Kia rotated 90 degrees, began to roll over on the passenger side first, rolled a quarter turn on the same side, then slide on the ground for 46 feet came up on its wheels and then went down again but this time on the driver’s side. Dr. Burton, a forensic pathologist and doctor of medicine, whose expertise was in determining whether vehicle occupants in crashes wore seatbelts, acknowledged that there was no solid proof that the plaintiff used a seatbelt and that he was unable to look at the seatbelts of the Kia because it was unavailable. Dr. Burton also testified that Henry’s medical records revealed no bruising or abrasions that would show within a reasonable probability whether Henry was wearing a seatbelt. In an attempt to establish that Henry was not wearing a seatbelt, Defense counsel asked Dr. Burton whether Henry could have been injured the exact same way by not being belted and not being ejected from the Kia partially in which he answered in the affirmative, explaining that seatbelts cannot protect passengers in rollovers because they are designed to protect against frontal collisions. Before trial Henry motioned to strike Hoekle’s seatbelt defense, asserting that the record did not have any expert testimony or evidence to support the defense. The trial court denied the motion allowing the defense at trial. Henry later support her argument with a memorandum of law that argued that the defendant would attempt to establish that she was not wearing her seatbelt through witnesses who arrived after the accident when she was no long restrained which would allow the jury to infer from this circumstantial evidence that she was not wearing a seatbelt at the time of the accident without competent evidence and further infer that she was injured as a result allowing an impermissible stacking of inferences. Henry moved for the trial court to issue a directed verdict in favor of Henry, arguing that the defendant did not provide strong enough evidence to prove that she failed to wear a seatbelt and that her injuries were a result of that failure repeating her argument against impressible stacking of inferences. The trial court denied issuing a directed verdict in favor of Henry and the jury based on comparative negligence attributed 65% negligence to Hoelke and 35% to Henry awarding her $6.3 million dollars in damages which was reduced to $4.1 million. On appeal for the denial of Henry’s directed verdict, the court of Appeals found that the defendant did not provide strong enough evidence to support that Henry was not wearing a seatbelt by failing to introduce any proof that she was not wearing it at the time of the accident. The court found that even if Henry’s use of a seatbelt could be questioned, there was no proof that failure to wear a seatbelt caused or substantially contributed to Henry’s injuries, a requirement that must be proven on causation for a seatbelt defense. The court stated that the connection between the causal relationship between the failure to wear a seatbelt and the injury cannot be uncertain speculative or conjectural and that in this case the evidence provided by the defendant was exactly that. 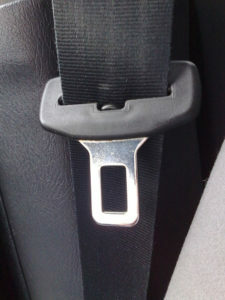 The court concluded that the defendant failed to support the two prong seatbelt defense that the plaintiff was not wearing a seatbelt and that the failure caused or contributed to her injuries without impermissibly stacking inference. After all the finding of comparative negligence was reversed and Henry was awarded the full amount of damages. The big takeaway from this case is that when you or a loved one is injured in an accident, it is important that you know your rights and responsibilities because odds are the party at fault for your injuries will most likely try to find a way to attribute fault to you. If you have been injured in an accident in the state of Florida and have questions about what to do next, you should contact the Fort Lauderdale law firm of Madalon Law. You can speak to an accident attorney and have your questions answered at no cost.